Valentino Orlandi Italian Designer Baby Blue Geometric Leather Shoulder Bag | Accessorising - Brand Name / Designer Handbags For Carry & Wear... Share If You Care! 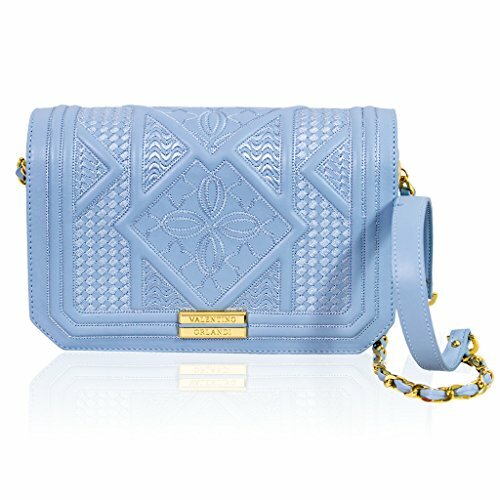 Valentino Orlandi Italian Designer Baby Blue Geometric Printed Leather Mini Shoulder Bag The new collection Valentino Orlandi 2017/2018 offers unusual combinations and refined original styling with careful attention to detail. This is a collection for a sensual and romantic woman. Valentino Orlandi’s bags are very feminine reflecting the know-how of over 40 years of fine workmanship and craftsmanship. The collection is a symbol of Italian style, promoting the Made in Italy distinctiveness recognized all over the world. The brand promotes the craftsmanship and hand special processing to ensure that perfection that distinguishes and makes their creations unique. Featuring glamourous and exclusive mini bags, Shoulder Bags, and handbags made of glitter paint and covered with a lace embroidery. Handbags are elegantly decorated with bright and rolled wire. The imagination and vibrancy explode in a riot of vibrant colors with woven designs: optical effects are created by the overlapping of tiny squares; the bags become small mosaics to wear. Combinations of colors and woven material in mini bags with precious golden chains. Small squares in a mix of colors create optical effects. Blue, cream, turquoise and teal join the pearlescent silver, purple, pink and deep blue. Featuring signature solid brass 18K rhodium-plated hardware to withstand years of use. Adorned with “SWAROVSKI ELEMENTS” – the premium brand for the finest crystals manufactured by Swarovski. Designer “Valentino Orlandi” blends his predilection for the avant-garde with the manufacturing precision and quality, totally Italian artigianalita of 30 years of experience, and he creates an elegant classic collection of diverse colors and designs. Ultimate luxury at a huge discount! 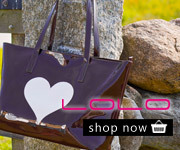 Handmade in Italy this handbag is a must have for year-round wear! We import our bags directly from Italy! Hardware, Closure, Inside, Lining 18K Gold-plated, Flaptop closure with hidden magnetic closure, Dual nner compartment space, wall zippered pocket, cell phone and slip pocket, Signature Silky Lined, Designer leather logo patch. Comes with the original manufacturer tag and certificate of authenticity. Signature sleeping bag and Signature gift bag are included.